The Occupational English Test (OET) opens a new test venue in Bengaluru, India with PEAR Academy APWS Bangalore. OET, the English language test for healthcare professionals, will be available at a new venue from March 2019. The new test venue, to be located at Asia Pacific World School (APWS) at Kaikondrahalli, Varthur Hobli (off Sarjapur Main Road), will be managed by PEAR Academy APWS Bangalore. PEAR Academy Bangalore is owned and operated by its parent company PEAR Academy Australia, which operates a high-quality OET test venue in Adelaide, South Australia. OET (the Occupational English Test) is an Australian-developed English language test which assesses the English language proficiency of healthcare professionals. It provides assessment of all four language skills – listening, reading, writing and speaking – through test material designed to reflect real healthcare scenarios. Dr Azra Begum, venue manager of PEAR Academy APWS Bangalore, said: “We are committed to providing services and offerings that meet the needs of the communities in Bangalore. By offering OET at APWS Bangalore, we are enabling health care professionals to demonstrate their English language proficiency for professional registration and employment purposes”. OET CEO, Sujata Stead, said she was very happy to be welcoming a new test venue in India, where demand for the test is very high. “I’m sure OET candidates will have an excellent experience with PEAR Academy APWS Bangalore. We commend them for their passion for meeting the needs of the community through empowering healthcare professionals to have the level of English communication skills required for safe and effective care”. 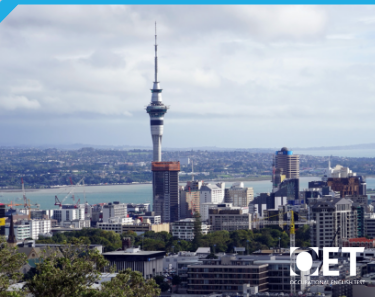 OET, the English language test for internationally qualified medical professionals recognised at The University of Auckland, Auckland, New Zealand. 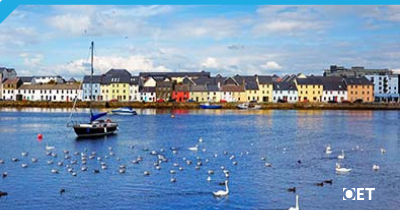 OET, the English language test for healthcare professionals, will be available at a new venue in Galway, Ireland, from January 2019.